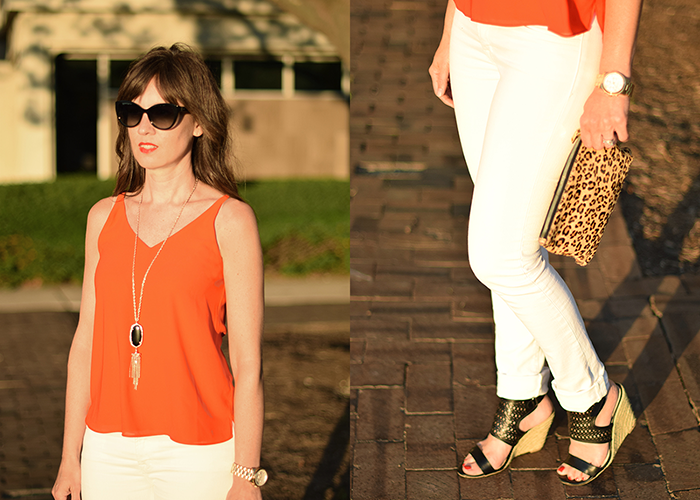 Today is Style Perspectives with my friends from The Blended Blog - and the theme this week is how to wear white jeans. Two of my favorite colors to pair with white jeans is red and black. It is classic and chic. Lace up sandals are a big trend this spring season - and I really like these Ivanka Trump ones. Also, the red top in this look is actually a dress, which happens to only by $18 - and could be worn over jeans or alone as a dress. 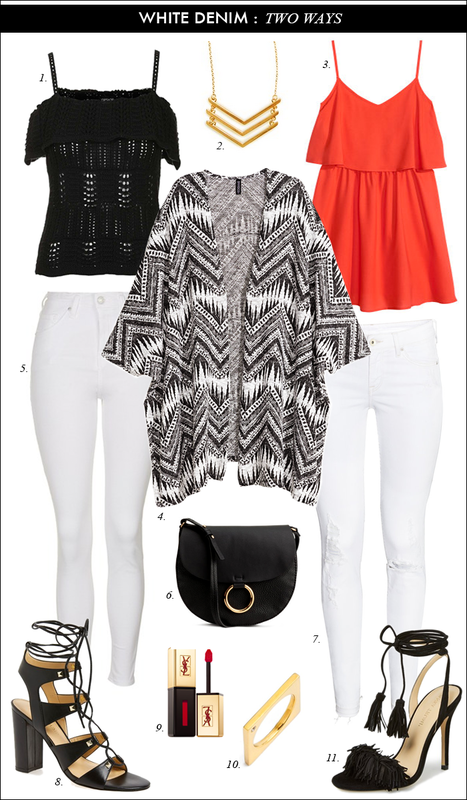 Since I am still waiting for my new white jeans to arrive - I have dug through my achives from last summer and pulled out this look where I styled a red top, white jeans and black sandals. 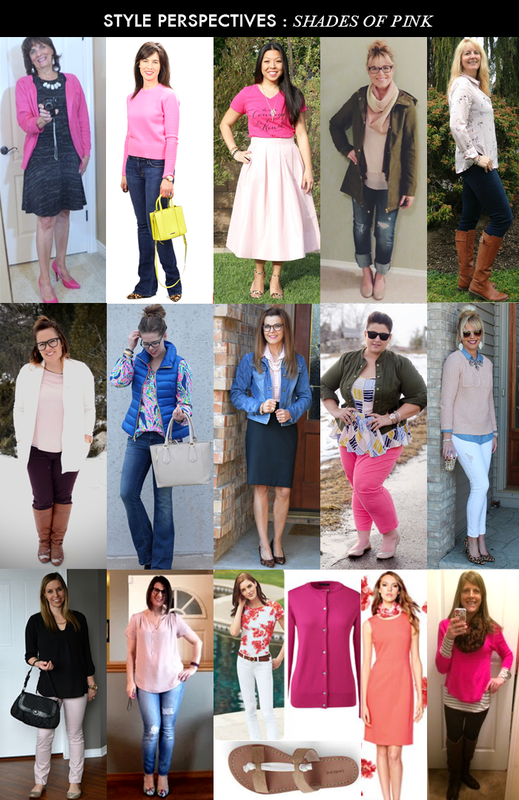 Here is a look back at last week and how all 14 of us styled "Shades of Pink". Be sure to stop by and see how each of us styled white denim this week and link up your fashion post. Great looks - all 3. Those photos are beautiful as well:) I NEED that clutch in my life. I have yet to pair red and leopard with white, and you have made me want to more and more! Great look! I too love the white with black or red, so classy! Your archived look is divine, the leopard is perfect with it!! You look so pretty!! I love my white denim! So much so that I wear them year round. 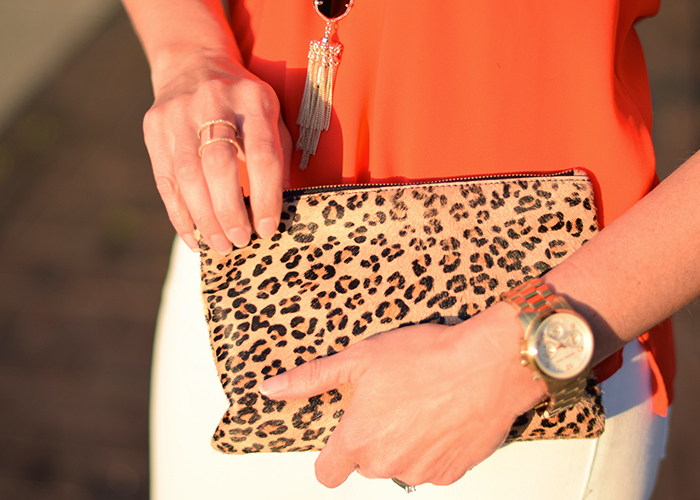 You've styled them so perfectly with the pops of leopard and red. LOVE that orange color top!!! looks fantastic paired with white!! and the shoes... always the shoes!! Never thought to pair my white jeans with red and black...hmmm...off to try that now! Love this tank you are wearing. And the sandals on your list are absolutely gorgeous. I finally bought a pair of white jeans! Great inspiration as always. 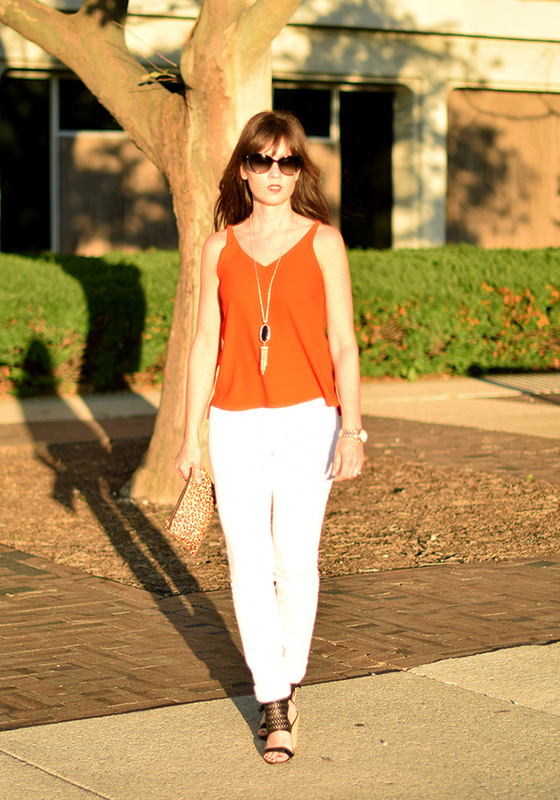 Love white denim & you look amazing in yours with the cute orange top!! Also, love both ways you styled it on the collage!! Love the red and white!! Gorgeous! All great looks but what you actually wore is the best one! You look fabulous! Love you in the look and all of your outfits. Want to find a more elegant coral tank like this!! Love it with the black too!! Great looks Lisa!! Black, white, red AND leopard. Love it! Hope your jeans come in soon. Such a stunning color combo. You look beautiful! I love all the looks you styled. The one you are wearing is perfection on a warm day. Is your top red or orange? It looks orange in the picture but it may just be the lighting. Regardless, I love it with the leopard. I love the simplicity of white jeans. You can just do so much with them!